So what is the ruckus all about? 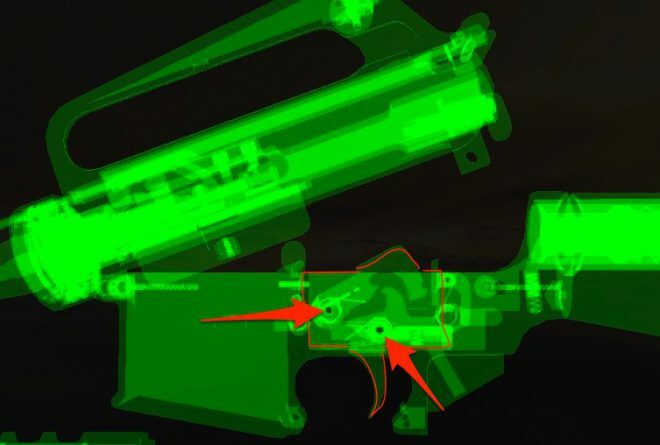 From The Firearm Blog: Phil’s, Tom’s and my inbox have been blowing up with tips and emails from concerned gun owners worried about Mossberg’s lawsuits against 12 manufacturers of drop-in AR-15 trigger groups (read our post here and here catch up with the drama). We are only aware of 12 manufacturers being sued, but there could well be others being sued or who have already settled. The one company notable for not being sued is CMC Triggers. 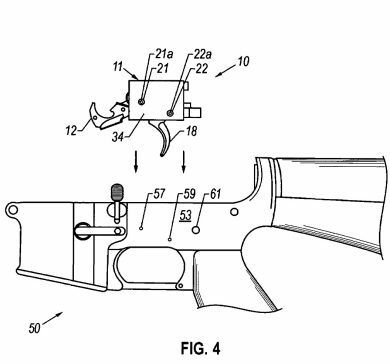 They have licensed the patent from Mossberg and are supportive of the lawsuit. CMC made a public statement here. The lawsuit revolves around the patent US7162824B1. Michael McCormick applied for the patent in 2002. In 2011 ownership of the patent was transferred to Mossberg. The patent is titled “Modular trigger groupfor firearms and trigger group installation method”. The invention it describes is a self contained trigger group for a rifle (which has an upper and lower receiver) and has two pins holding the trigger in place … or in other words, a drop-in trigger group for a rifle that could only be an AR-15-type rifle. Now what is really interesting: back in the late 1990s in Taiwan, a very innovate rifle was being developed without any fuss or fanfare. 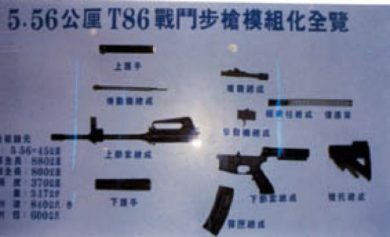 When it went into production the Taiwanese T86 (聯勤 Type 86) assault riflewas easily the most innovative AR-15 ever developed, featuring two major features: self contained piston gas system and a self-contained drop-in trigger group! 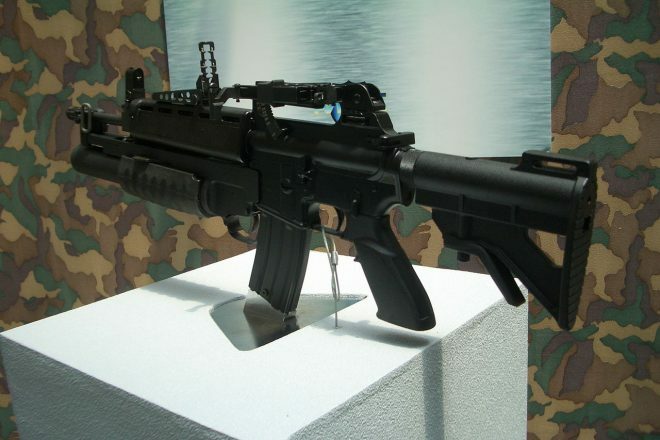 The rifle was first shown to the public in 1996, its design was finalized in 1998 and it went into production into 2000. Let that sink in for a moment. 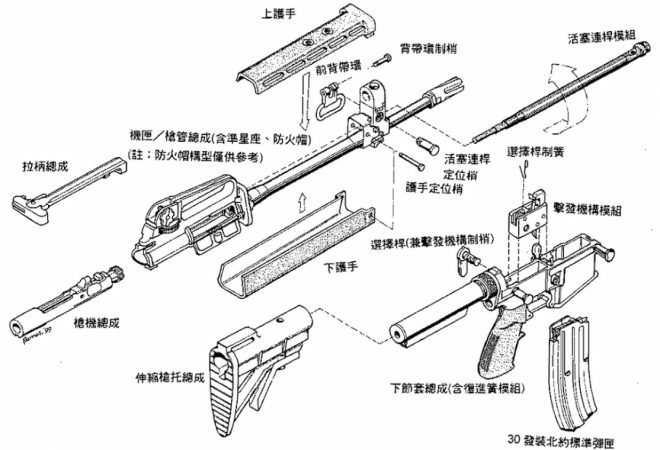 A full four years before Michael McCormick patented a drop-in trigger groupfor an AR-15-style rifle, an unknown genius in Taiwan had already developed one. 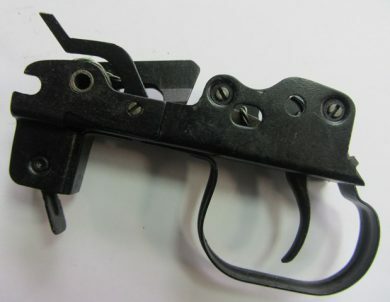 A full two years before McCormick’s patent, this trigger group was in full production and being used by the Republic of China (ROC) Army. What is really interesting is that the patent makes special mention of two sets of “hollow holes” on opposite sides of the receiver . This is central to the lawsuit. We call these the hammer pin and trigger pin holes. These pin holes are indicated in the XRay diagram below. Note how the SVD Trigger group is inserted into the rifle. SVD Trigger Group being inserted and removed. Animation created with Gun DIsassembly 2. Let us return to the T86 rifle. As far as I can tell, the T86 trigger does APPEAR notto use two pins to secure the trigger, it uses the safety pin and the lower receiver’s internal dimensions to hold it in place. It is a nicer system that the Stoner design, but **slightly** different from the patent. 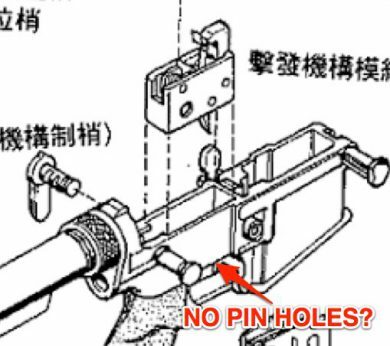 I am trying to obtain high resolution photos of the T86 to be sure if they used pins or not, but the diagram below seems to indicate that it does not. Therefore, the Mossberg is NOT a patent for a drop-in trigger group, it is patent simply for using two pins to secure a trigger group. That is it. Twelve companies are being sued for designing a drop-in trigger group that uses the existing pins on an AR-15. Not for designing drop-in trigger groups, but using two pins to secure it. The story of this patent is not yet over. In late 2014 an unknown party requested that the US Trademark and Patent Office reexamine the patent. The reexamination invalidated one of the patent’s claims, but allowed Mossberg to add a number of additional claims/clarifications. Later in 2014 another request for reexamination was made (with seemingly no apparent changes to the patent). A few months ago in February another request for reexamination was made on the patent. It will be very interesting to see how these lawsuits progress. Keep an eye on TFB, we will be reporting along the way.